MANILA -- The Department of Budget and Management has identified fund sourcing for the plebiscite for the Bangsamoro Organic Law (BOL), which would require P857 million, the country’s poll chief said Tuesday. The funding will come from the Commission on Elections’ own allocation, said chairman Sheriff Abas, citing information from the budget department. “Meron na kaming budget for that (We already have budget for that),” he told reporters, referring to the Jan. 21, 2019 plebiscite, which is needed to ratify the BOL. 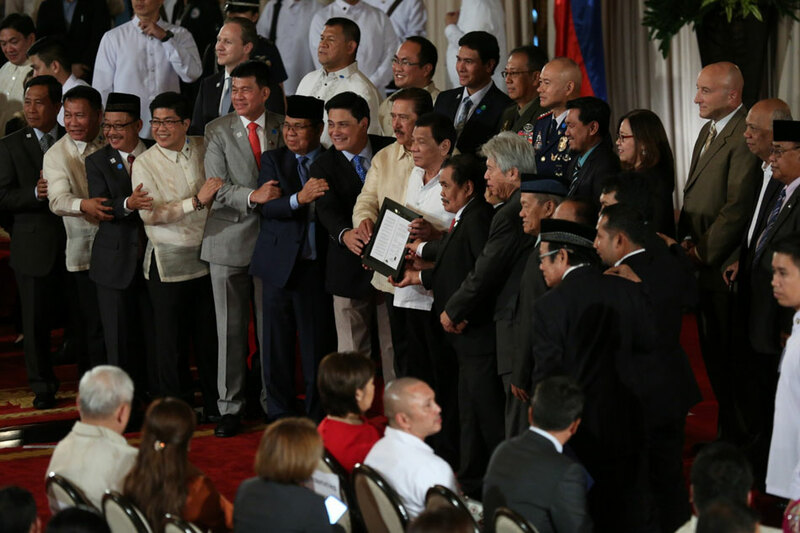 The organic law will implement a 2014 peace agreement with the Moro Islamic Liberation Front, creating new autonomous region and government in Muslim Mindanao. Abas said results of the plebiscite would likely be known within a week. It will cover the existing 5 provinces of the present Autonomous Region in Muslim Mindanao, which will vote as one geographical area. Also joining the plebiscite will be residents of 6 towns in Lanao del Norte, 39 villages (barangay) in North Cotabato, Isabela City in Basilan, and Cotabato City. The Comelec will decide by December on petitions of 62 communities to be included in the new Bangsamoro Autonomous Region in Muslim Mindanao, he said.